of what’s going on within the company. But that’s not always the case. Sometimes the whistleblower is an outsider with expert knowledge who can help the government in their investigations.Even so, that person is eligible for a whistleblower award. Such was the case of the whistleblower to whom the Securities and Exchange Commission (the “SEC”) awarded $700,000 today. In this case, the whistleblower was an industry expert who was a company outsider who conducted a detailed analysis that led to a successful SEC enforcement action. “The voluntary submission of high-quality analysis by industry experts can be every bit as valuable as first-hand knowledge of wrongdoing by company insiders,” said Andrew Ceresney, Director of the SEC’s Enforcement Division. 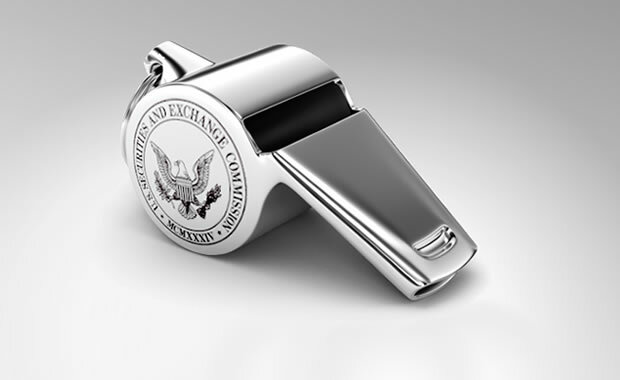 Whistleblowers who voluntarily provide the SEC with unique and useful information that leads to a successful enforcement action may be eligible for an award. Since the SEC’s whistleblower program began in 2011, more than $55 million has been awarded to 23 whistleblowers. A whistleblower award can range from 10 percent to 30 percent of the money collected when the monetary sanctions exceed $1 million. All awards to whistleblowers are made from an investor protection fund that is financed entirely through the money received from sanctions paid to the SEC by companies which have violated securities law. Once the government joins a whistleblower case, the case is made public but, by law, the SEC protects the confidentiality of whistleblowers throughout the process. The SEC does not disclose information that might directly or indirectly reveal a whistleblower’s identity, and redacts such information from any documents related to the case.